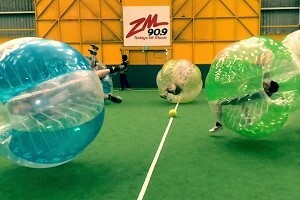 Bubble Soccer has taken the world by storm and it will be making its third appearance in the Business Games this year! While the aim of the game is still to score goals, there is nothing wrong with bumping a few of your opponents to gain the advantage. While protected in your inflatable bubble you will try to score goals. You will play in a designated and marked area. The game is very similar to standard indoor soccer, except that bumping, bouncing, rolling, flipping over and smashing into other players are tactical parts of the game which are actually encouraged. 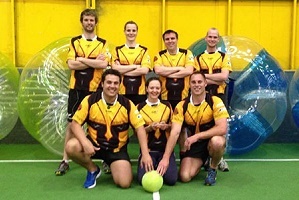 For more general info about Bubble Soccer take a look at Wellington Indoor Sports’ website. Competition is pool play followed by finals. Winner of each pool and best qualifiers advance to finals. In pool play, teams are scheduled for a minimum of three matches where possible. Round robin games and semi finals – seven minutes per half. Final – ten minutes per half. 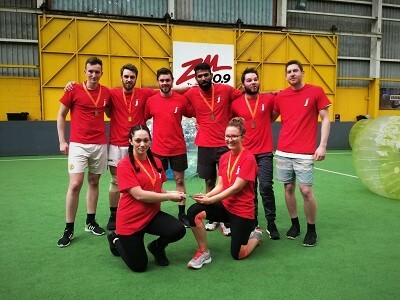 Teams are made up of five players on the court (minimum of one female) and max of one sub per team. Adult (1.80m and 1.50m diameter) or kids (1.20m diameter). We recommend you bring light gloves to help prevent chafing on hands. All sharp or breakable objects worn or in pockets e.g. keys, phone and pointy piercings need to be removed. Piercings that cannot be removed, shall be taped. Tell the supervisor if you have problems with the bubble or the harness. 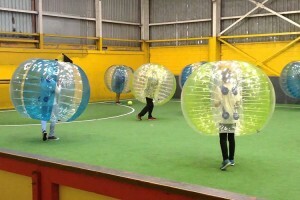 The player needs to be in the bubble at all times while on the designated game area. Don’t jump or land on objects. If you are feeling tired, exhausted during the game, suffering any injury or for any other reason that prevents you continuing to play, raise your hand directly in the air and the supervisor will stop the game and assist you. 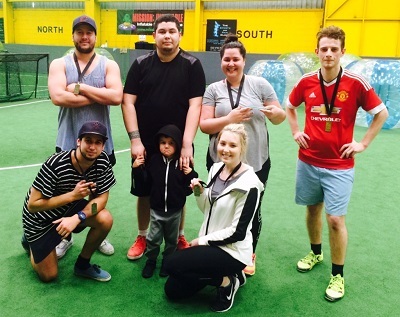 Check out the big Bubble Soccer hits from the 2016 Business Games! 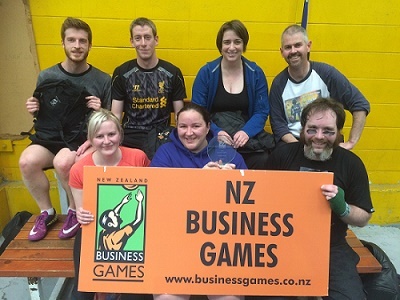 Check out some Bubble Soccer hits from the 2015 Business Games!